Political tensions prevailing within the Tamil National Alliance(TNA) underwent a dramatic transformation last week. In an unexpected twist , Leader of the opposition and TNA leader , Rajavarothayam Sampanthan, declared in Batticaloa that he was prepared to step down in favour of Northern province chief minister Canagasabapathy Visvalingam Wigneswaran if the “Katchi”(party) and “Makkal”(people) wanted it. By doing so , the veteran Tamil politician from Trincomalee not only brought out the simmering internal crisis in the TNA into the open but also issued an indirect challenge to Wigneswaran who is being promoted by diverse elements as contender to Sampanthan’s leadership. 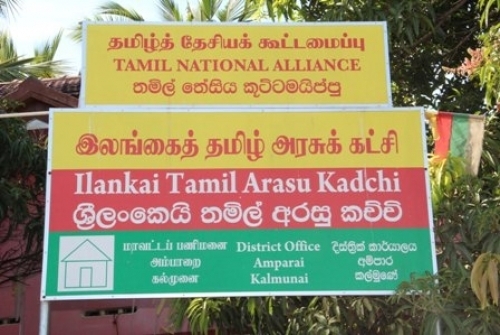 Sections of the Tamil media had extensive reports last week about a meeting held at the Batticaloa office of the Ilankai Thamil Arasu Katchi(ITAK) which is the chief constituent of the TNA. The premier political configuration of the Sri Lankan Tamils currently consists of the Ilankai Thamil Arasu Katchi(ITAK), Tamil Eelam Liberation Organization(TELO), Eelam Peoples Revolutionary Liberation Front(EPRLF) and Peoples Liberation Organization of Tamil Eelam (PLOTE). Earlier Tamil parties such as the Tamil United Liberation Front(TULF) and All Ceylon Tamil Congress(ACTC)had also been part of the TNA. The TNA by itself is not registered as a political party. It contests elections under the house symbol allocated to the ITAK. Several party members had raised questions during discussions held at the ITAK office in Batticaloa. Senior eastern politician and former Batticaloa district MP Pon. Selvarajah had reportedly asked Sampanthan about the recent “dispute” between Northern provincial council chief minister C.V.Wigneswaran and TNA Jaffna district parliamentarian M. A. Sumanthiran. Critical references were also made about the controversial conduct of Wigneswaran in recent times and the sinister conspiracy being hatched to supplant Sampanthan with Wigneswaran as the leader of the Sri Lankan Tamils. The Batticaloa component of the ITAK was greatly angered by the conspiracy to replace Sampanthan with Wigneswaran. According to reports in Tamil newspapers and websites Sampanthan had responded in a frank and forthright manner to the concerns raised. Acknowledging that there were was a contradiction between Wigneswaran and Sumanthiran, the TNA leader went on to say that such intra-party contradictions would always exist within democratic political parties. Sampanthan went on to say that the prevailing dispute between Wigneswaran and Sumanthiran had arisen due to the chief minister not fully supporting the TNA at the last parliamentary elections.Sampanthan observed that Wigneswaran had contested the Northern provincial polls on behalf of the TNA under the ITAK symbol.As such it was Wigneswaran’s duty to support the TNA during polls but he did not do so Sampanthan said. “Not only did Wigneswaran not support the TNA but he also said he was going to adopt “Mounam”(silence) and be an “Oomai”(dumb person) during elections. Yet the chief minister later went on to issue statements that were perceived by some as being supportive of another political party. This was the basis of the on going dispute” Sampanthan explained. After criticising Sumanthiran for speaking out of turn to the media, Sampanthan went on to the subject of Tamil leadership. “ Wigneswaran can take over the party leadership. He is within his rights to try and do so if he desires it.However it is the party and the people who have to decide ultimately. There is no point in getting agitated over this issue now.Aanandasangaree and Gajendrakumar Ponnambalam who were confined to the dustbin by the people seem to be supportive of Wigneswaran in this matter.We have no objection to this” he said. Speaking further Sampanthan recounted the circumstances in which Wigneswaran entered politics and became chief minister. “It was I who made him chief minister.It was I who first asked him to be chief minister. During initial discussions there was no one supportive of Wigneswaran within the party. Maavai Senathirajah kept silent at first.Finally Maavai Senathirajah said that he would abide by the party decision if it endorsed the proposal made by “Annan”(elder brother)meaning me. This was due to Senathirajah’s magnanimity. Thereafter we all discussed and resolved unanimously to nominate Wigneswaran”. Having related how Wigneswaran was selected , promoted , nominated and elected as chief minister due to his efforts Sampanthan went on to solemnly observe thus- “Now he (Wigneswaran) is proceeding in his own separate way. I will not try to stop him. It is the people who must decide. My continuing to remain in this position is a decision of the people and of our party. If the people and party tell me ‘Sir,you may go now. We want to replace you with Wigneswaran then I shall immediately accept that decision and step down from this leadership position”. Sampanthan’s bombshell announcement that he was willing to step down as TNA leader in favour of Wigneswaran if the Tamil people and TNA wanted it shocked the gathering of party faithfuls present. The preponderant mood and overwhelming reaction was that Sampanthan should not and must not quit as leader. However many of those present realised the extent to which Rajavarothayam Sampanthan had been hurt politically and personally by Canagasabapathy Visvalingam Wigneswaran and empathised with the TNA leader’s feelings on this. Apart from allegedly working against the interests of the party which propelled him into chief ministerial office , Wigneswaran has also fomented disunity in TNA ranks by speaking out on the need for an alternative Tamil leadership. Though Wigneswaran has not specifically named Sampanthan , it is crystal clear that speaking of an alternative leadership when the TNA leader is alive and kicking is an indirect indictment of Sampanthan’s leadership. Some Tamil politicians outside the TNA have already indicated openly that they are willing to accept Wigneswaran as the leader of the Tamils. Besides the vicious attacks targeting Jaffna district parliamentarian MA Sumanthiran also form part of the anti-Sampanthan campaign. Since Sumanthiran is regarded as Sampanthan’s most loyal deputy , the attacks against him amount to an assault on Sampanthan’s leadership itself. Another cause for concern to many Tamils is the shoddy performance of CV Wigneswaran as Northern chief minister. Much was expected of him and the Northern provincial council. Both he and the NPC have been a great disappointment. Apart from passing controversial resolutions like the one on alleged genocide, the NPC has failed to deliver. Even money allocated by the Colombo Govt is not utilised properly.NPC opposition leader Sinnathurai Thavarajah has exposed publicly about how allocated funds are under-utilised and also about the failure of the council to enact appropriate statutes to exercise powers of devolution with greater efficiency. The international community has been showing tremendous interest in the Northern provincial council. Visiting foreign dignitaries as well as diplomatic personnel stationed in Colombo have often journeyed to Jaffna in recent times to meet the Northern chief minister. Instead of requesting greater assistance for rehabilitation and development at such meetings, Wigneswaran inundates them with a litany of woes. Wigneswaran’s complaints seemed credible to some extent earlier when Mahinda Rajapaksa was President and Gen. Chandrasiri the Governor.Now there is a new dispensation with President Maithripala Sirisena and Governor HMGS Palihakkara. Under these changed circumstances there are few takers when Wigneswaran comes up with his anti-govt refrain. A case in point was the recent visit of Samantha Power – US envoy to the UN. 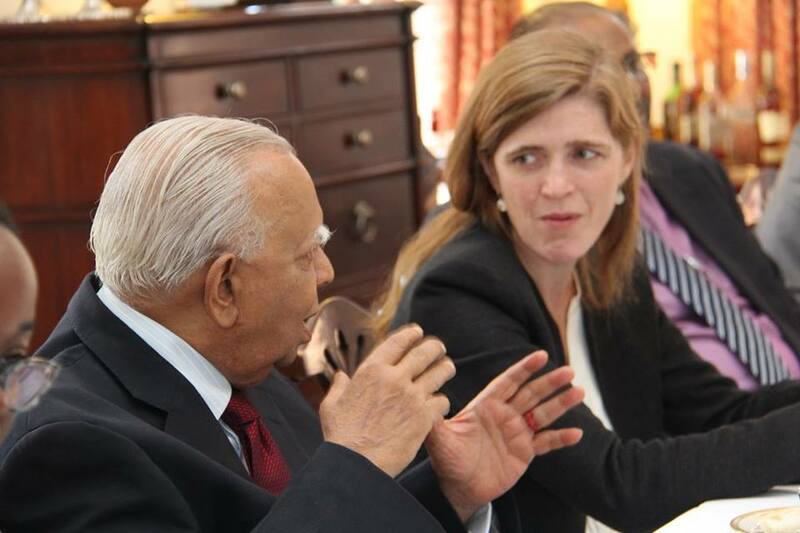 When Samantha Power met CV Wigneswaran in Jaffna, the northern chief minister repeated his anti – govt tirade. When Ms. Power asked him about the situation after the new govt was set up, Wigneswaran kept parroting that nothing had changed and that there was no progress. The chief minister was taken aback when the US envoy disagreed strongly. 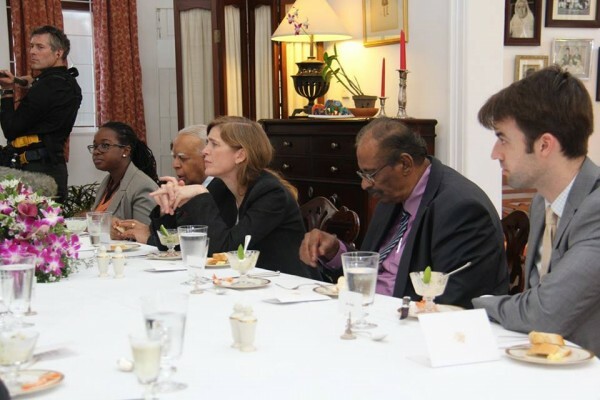 Samantha Power then outlined eleven specific areas of concern to the Sri Lankan Tamils where reasonable progress had been made after the Sirisena-Wickremesinghe Govt was set up. Wigneswaran had no choice other than to admit sheepishly that progress had indeed been made. The chief minister then tried to save face by saying not enough progress had been made or speed shown. Samantha Power then pointed out that saying “not enough progress” had been made was different to saying “no progress”had been made. However she agreed that the pace was slow yet understandable within the current political context. 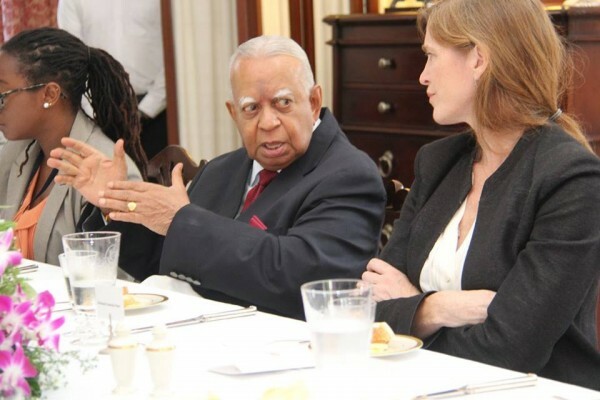 Disappointed and perhaps unimpressed by Wigneswaran’s performance, the US envoy made it a point to refer to her exchange with the chief minister when she met a TNA delegation led by Opposition leader Rajavarothayam Sampanthan later in Colombo. After relating in detail her discussions with Wigneswaran and the eleven points emphasised by her to the chief minister , Samantha Power posed a question. “Who made him Northern chief minister?” . TNA leader Sampanthan replied “It was I who made him chief minister”. Sensing perhaps the discomfiture felt by Sampanthan nowadays about his role in making Wigneswaran chief minister , Ms.Power did not continue the conversation on that track. However two tweets posted by Samantha Power illustrated the US envoy’s mindset on Sampanthan and Wigneswaran. One was “Urged Jaffna Chief Minister Wigneswaran to help reinforce #SriLanka precious moment for reconciliation/rebuilding”. #SriLanka “Opposition Leader Sampanthan: passionate voice for Tamil rights, getting results by bldng nat’l consensus” was the other. Sampanthan’s disclosure to Samantha Power on his role in making Wigneswaran chief minister as well as his statement in Batticaloa to ITAK members about how he made Wigneswaran chief minister sheds much light on the current situation. The TNA leader’s anguish over Wigneswaran’s conduct is visible.However Ingratitude in politics is a common phenomenon. It goes with the territory. The proactive role played by Sampanthan in getting Wigneswaran endorsed by the Tamil National Alliance as its chief ministerial candidate and the consequent election of CVW as Northern provincial chief minister has been well understood and appreciated to a very great extent by the TNA and the Tamil people at large. In the euphoria that prevailed after the Northern provincial election victory in 2013 both Wigneswaran as well as Sampanthan were literally and metaphorically crowned by jubilant supporters. The victory was rightly perceived at that time as a joint success of both. It may be pertinent at this juncture to delve briefly into those appenings and refresh memories about how and why CV Wigneswaran residing in Colombo was parachuted into the position of being the TNA’s Northern province chief ministerial candidate. It would also help place in perspective the role played by Sampanthan in making Wigneswaran the chief ministerial candidate amidst much internal hostility and the sense of acute betrayal felt by many members of the ITAK/TNA over the current political conduct of the ex-judge. When elections to the Northern provincial council became a certainty in 2013 it was a foregone conclusion that the TNA would romp home as winner. The uncertainty was over who would become the first chief minister of the Northern Province.There were many contenders.Among the names being bandied or talked about as potential chief ministerial candidates were retired Jaffna university professor S.K. Sittambalam, ex-Jaffna Municipal Commissioner C.V.K. Sivagnanam, Colombo University Law Professor V.T. Thamilmaran, Retired Jaffna High Court Judge E.T. Vicknarajah and former “Uthayan” newspaper Editor N. Vithiyatharan. If these were spoken of as contenders outside active politics there were aspirants from within political parties too. Somasuntharam Senathirajah of ITAK, Kandiah Premachandran alias Suresh of EPRLF, MK Sivajilingam of TELO also evinced interest in the chief ministerial stakes at one point of time. Other possibilities for the Chief minister post were veteran Politician Veerasingham Aanandasangaree of the TULF and Dharmalingam Siddharthan of the PLOTE. Two other names spoken about were former Mannar MP Philip Soosaithasan and SC Chandrahasan the son of respected Tamil leader S.J.V. Chelvanayagam or “Thanthai Selva”. It appeared that the prevalent fragile unity of the TNA might shatter over the huge competition to be chief minister. It was in this situation that TNA leader Rajavarothayam Sampanthan thought of bringing in a complete outsider with exemplary qualifications and unimpeachable credentials as chief ministerial candidate. His choice was retired Supreme Court Judge Canagasabapathy Visvalingam Wigneswaran whose name had been suggested to the TNA leadership by members of the Tamil elite in Sri Lanka and abroad. Sampanthan felt that Wigneswaran was the ideal choice for a number of reasons.Given his qualifications and experience and his track record while on the bench and afterwards, Wigneswaran was sure to attract votes immensely in the North. If former cabinet minister Douglas Devananda was to be the chief Govt candidate then pitting a person of Wigneswaran’s calibre against him could virtually transform the hustings into a one horse race. It was also necessary to have a man of eminence like Wigneswaran as Northern chief minister at this historic juncture. The new chief minister would have to deal with the Colombo Govt on a number of matters. He needs to negotiate with the Govt for more powers, resources and functions for the council. He must possess the ability to interact on equal terms with the Governor and military hierarchy in the North. He must also be able to meet with International leaders, diplomats and media personnel. These required extraordinary attributes and ideally, Wigneswaran seemed to fit the bill. Besides Wigneswaran possessed legal acumen and expertise that could be of crucial importance. More importantly Sampanthan also felt that the quibbling over Chief ministerial stakes in the TNA would end once Wigneswaran was picked. He expected the other contenders to bow out gracefully when a man of Wigneswaran’s mercurial stature became available. Thus internal dissension on this account could be avoided. When approached Wigneswaran himself seemed reluctant to get into active politics. He preferred to be in the background and be an adviser rather than face hustings. Also he was fully aware of the internal differences in the TNA and did not want to get enmeshed in a political web. He wanted a united invitation from all five TNA constituents of the time. Wigneswaran also entertained the notion that he could lead an Independent list of united Tamils rather than that of a political party. With such options being ruled out, Wigneswaran respectfully declined the offer. Other currents too were flowing across the Elephant Pass isthmus even as Sampanthan was wooing Wigneswaran. While the Jaffna elite was delighted with the choice of Wigneswaran other political elements in the ITAK were not greatly enamoured of the ex-supreme court judge. The party machinery was doubtful whether the independent Wigneswaran would fit into the Jaffna political scene and abide by the decisions of the TNA. He was seen as an uncontrollable personality. So Gulliver had to be restrained by the Lilliputians.Jaffna district MP and then ITAK secretary general “Mavai”Senathirajah was encouraged to contest. His name had been in the running for quite a while but was not thought of positively as chief minister material earlier. The situation however changed when Wigneswaran turned the offer down. Sampanthan however did not give up on Wigneswaran. The TNA leader continued his efforts to convince Wigneswaran that he should become chief minister. TNA MP and Lawyer MA Sumanthiran was of yeoman service to Sampanthan in this. Several prominent Tamils in Sri Lanka and abroad kept on requesting Wigneswaran to say “yes.” After persistent efforts by the TNA duo and others, Wigneswaran finally consented. Senathirajah was informed about Wigneswaran being willing. Senathirajah was not happy but did not protest. It was against this backdrop that the TNA Coordinating committee first met on July 11th 2013 at the ITAK office in Bambalapitiya to select the chief ministerial candidate. Representatives of the five parties then comprising the TNA began talking. Sampanthan chairing the meeting let the others talk first. In a complicated reversal of roles the non – ITAK parties namely the EPRLF, TELO, PLOTE and TULF proposed the name of the ITAK’s “Mavai” Senathirajah, and spoke in support of his candidacy. In a further twist the ITAK to which Senathirajah belonged, proposed Wigneswaran’s name instead of their secretary-general. While ITAK MP’s Selvarajah and Sumanthiran spoke in favour of Wigneswaran. Senathirajah adopted a conspicuous silence letting his non –ITAK colleagues of the TNA do all the talking in his favour. Sampanthan as chair remained silent throughout the proceedings until his turn came at the last. Thereafter Sampanthan waxed eloquent in support of Wigneswaran. Instead of being critical of Senathirajah explicitly, Sampanthan chose to espouse the merits of Wigneswaran and how the ex-Judge would prove ideal to meet the challenge of being chief minister of the North at this critical juncture. Sampanthan also stated unambiguously that Wigneswaran himself had not wanted to be Northern chief minister and that it was he (Sampanthan) who wanted Wigneswaran to be chief minister. The meeting on July 11th ended inconclusively as Sampanthan wound up his address. Thereafter it was arranged to reconvene the following day and finalise the issue. Heated discussions continued on the second day too without any visible shift in previous positions. 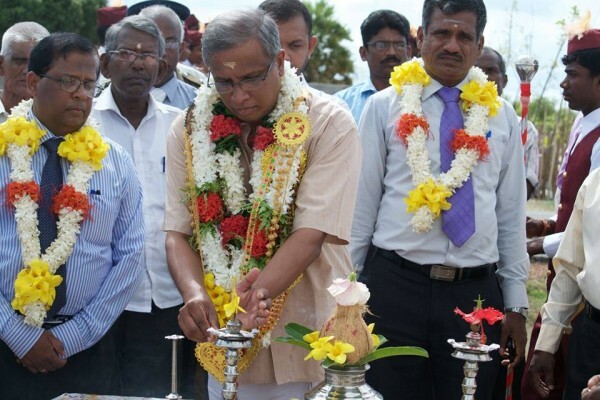 At one point of time the ITAK’s Sumanthiran appealed to Senathirajah directly and appraised the senior MP of the problems likely to be faced by the new chief minister. Sumanthiran explained in detail as to why Wigneswaran was better equipped than Senathirajah to face such challenges in the present context. The discussions at the TNA office in Bambalapitiya established a clear demarcation of battle lines. The EPRLF, TELO, TULF and PLOTE were on one side espousing the name of Senathirajah. While Senathirajah remained silent his colleagues from the ITAK were supportive of Justice Wigneswaran. 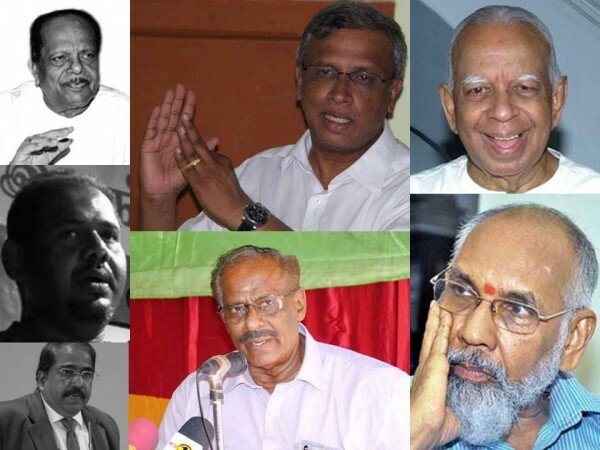 Despite Sampanthan and Sumanthiran making powerful, intellectually persuasive arguments in favour of Wigneswaran, the supporters of Senathirajah would not budge. They were adamant that Senathirajah should be the choice regardless of merit. It was blatantly obvious that the Senathirajah lobby was working according to a well-set plan. They had not entered discussions with an open mind prepared to select the best candidate possible for the task lying ahead. They were rooting for Senathirajah regardless of his suitability or otherwise. While being supportive of Maavai they were in no way critical of Wigneswaran. They spoke of the ex-judge respectfully and praised his track record on the bench. The essence of their argument however was that Wigneswaran though of Jaffna origin was now a Tamil resident of Colombo who was born and bred there. Senathirajah on the other hand was a son of the Jaffna soil. Furthermore Wigneswaran was not a member of the ITAK and had no previous political experience. Senathirajah however was involved from his youthful days in the Tamil political struggle. He was also a founding member of the TNA. In a nutshell the argument was that the “insider” Senathirajah should be preferred over the “outsider” Wigneswaran regardless of the individual merits of both. Parachutists from outside were to be debarred. The concluding remarks of Senathirajah gave room for optimism that a satisfactory compromise could be worked out. Quiet unofficial discussions among individuals and groups within the alliance began at different levels. TNA MP Sumanthiran began working out a scheme where Wigneswaran could be chief minister for the first half of the term and Senathirajah for the second. Sampanthan however was not in favour of such an adjustment saying it would convey contrary impressions to the voter and could be counterproductive. Senathirajah too was not very receptive to the idea saying it would be practically difficult to implement such an arrangement. Senathirajah being a Parliamentarian was not comfortable with the idea of going into the Provincial Council and waiting patiently till Wigneswaran’s tenure was over. Unofficial discussions continued. Sampanthan and Sumanthiran persisted with their efforts in promoting the candidature of Wigneswaran. Sampanthan spoke to Suresh Premachandran of EPRLF and Adaikkalanathan of TELO. Both agreed in principle to Wigneswaran being the chief ministerial candidate but wanted Senathirajah’s concurrence. Sumanthiran began engaging Senathirajah in talks over the subject. As a result of those behind the scenes discussions a new move was initiated. A meeting was arranged where Sampanthan, Senathirajah, Sumanthiran, Suresh Premachandran and Selvam Adaikkalanatham were to visit Justice Wigneswaran at his residence and discuss pertinent issues concerning the nomination. The meeting with Wigneswaran went off very well with many doubts being cleared. Wigneswaran stated openly that he was prepared to contest as the TNA candidate under the ITAK symbol and not as head of an independent list of candidates. He also said that his only request was for all five TNA constituent parties to agree to his candidacy. A highlight of the meeting was the cordial rapport established between Wigneswaran and Senathirajah. This state of affairs created an uncertain situation . Senathirajah himself resolved the dilemma by speaking out formally. Explaining the reasons behind his intent to contest , Senathirajah emphasised that he had done so only because of requests by the people. He then thanked his TNA colleagues for their support and announced that he was standing down in favour of Wigneswaran because he did not want to disrupt the unity and strength of the party. Senathirajah also praised Wigneswaran and said that he was endorsing the Ex-Judge’s candidature. With Senathirajah’s “magnanimous withdrawal” the problem ended. Wigneswaran became the “unanimous choice”. Thereafter representatives from all five parties of the TNA led by Senathirajah went to Wigneswaran’s residence and conveyed the “glad tidings of great joy” to him. Wigneswaran was happy that the choice had been approved by all five parties who had come together to formally inform him of it. He was particularly thankful to Senathirajah for his magnanimous conduct and stated that he was expecting his cooperation and support in the future. And then they all smilingly posed for the camera! This then was how Sampanthan aided by Sumanthiran staved off the challenge posed by Senathirajah and paved the way for Wigneswaran to be selected unanimously as the TNA chief ministerial candidate contesting on the ITAK symbol of house. If not for Sampanthan’s strong advocacy, Wigneswaran would never ever have been selected as the TNA chief ministerial candidate. Though the ex-judge now says he does not belong to any party and that the people elected him, the crux of the matter is that had Wigneswaran contested as an “Independent” against the TNA his plight would have been even worse than that of Gajendrakumar Ponnambalam at the polls. It must also be remembered that Sampanthan at that point of time entered into an eyeball to eye ball confrontation with Senathirajah in favour of Wigneswaran. He was even prepared to quit the party if Wigneswaran was not selected. It is against this backdrop that the current political conduct of Wigneswaran has to be viewed. Wigneswaran is now perceived as working against the very same party and leader who made him chief ministerial candidate. Sampanthan’s remarks at the Batticaloa ITAK meeting has shifted the spotlight towards Wigneswaran and his brand of politics. The onus is on Wigneswaran to respond and explain his current political stance. Why is the Northern chief minister who was nominated by the TNA now engaging in this type of politics? This question and other related developments will be discussed in detail in a future article.